I can't believe I spent $3.25 for what looked like a kiddies cup. Very disappointed in busters and the quanity. If you want some icecream, this is the place. Plenty of flavors for everyone's taste. The driveup can be a little slow if there are more than a couple of cars. We used the walk up and served right away. 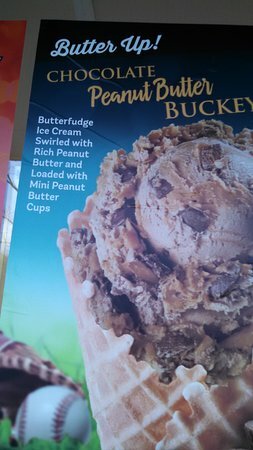 Found this Ice Cream shop after eating at nearby Percy and Willie's Food and Spirits. The ice cream was delicious and the serving size was very generous. 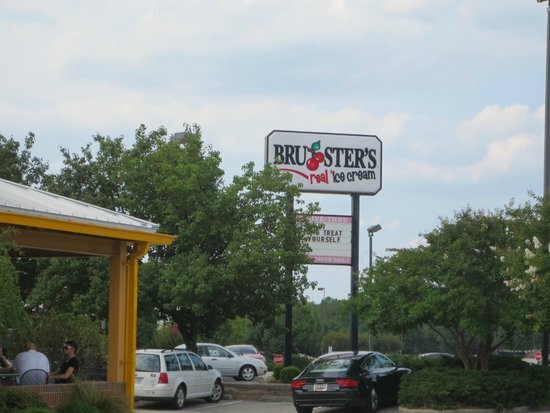 On recent trip to Magnolia Mall, ate at the Mellow Muishroom then went close by to Bruster's. Carried doggie bags from there but still made room for some ice cream. Service at window was excellent. One scoop servings were over the top. They have such amazing flavors! The cotton candy ice cream is purple! And tastes just like it. They have special Holiday Flavors like Egg Nog and Peppermint Candy. Yummy! Great place! Found this wonderful ice cream shop! Wonderful friendly service and the sundaes are delicious! The ice cream is so creamy! The serving sizes are very generous. Definitely recommend to everyone!! Such great treats!! Get quick answers from Bruster's staff and past visitors.